SALT LAKE CITY, UTAH — He may be new blood, but a tiny hedgehog is slowly becoming a big Instagram star. 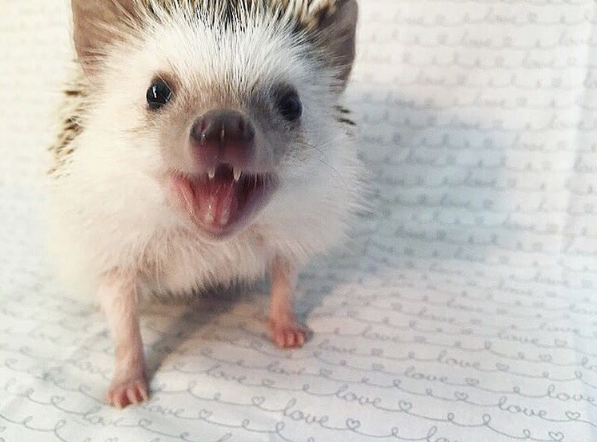 Huff’s pronounced pearly whites aren’t the only quality about this 3-year-old hedgehog that is undeniably adorable. Parker rescued Huff after his former owner decided they no longer wanted to care for the cute critter. His health and positive mood could also be due to all the wax worm-snacking, wheel-running and T-shirt-cuddling he now does in Parker’s care, who also admits that taking pictures of Huff and posting them online has helped heal her as well.